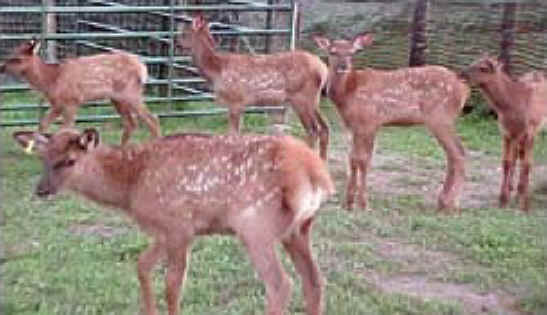 (Elk Exploitation - Canned and Trophy Hunting - 03) These innocent and tame baby elk are being raised by humans so that when they are older, they will make easy targets for those who lust for blood. 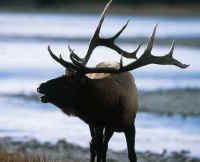 Most of these canned hunting "ranches" also butcher the elk, whose flesh can sell for as much as $18.00/lb. In our opinion, this exorbitant price takes away any excuse that these people only hunt for food, for we know that people can live on a very healthful whole food vegan diet for less than $5.00/day, including gourmet fruits and vegetables.